Who knew that the color pink could be so much fun? 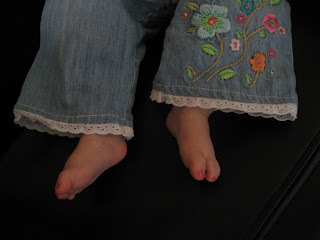 OMG those are the cutest little tootsies!! I LOVE THEM! How adorable! I love baby toes. Oh, those piggies are so cute! 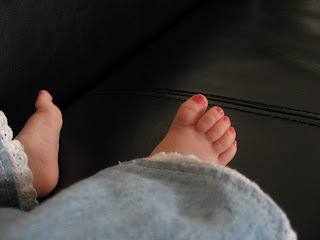 I'm actually SHOCKED that YOU would paint your kids toes baby pink though. I guess motherhood really has softened you! What cute little toes!!! 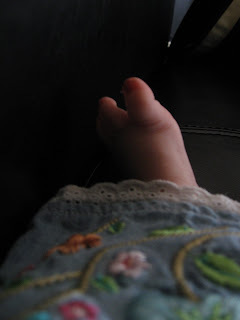 I *love* little baby toes; there's nothing more adorable! That is IT!! I'm having an FET TOMORROW!! I need a girl!